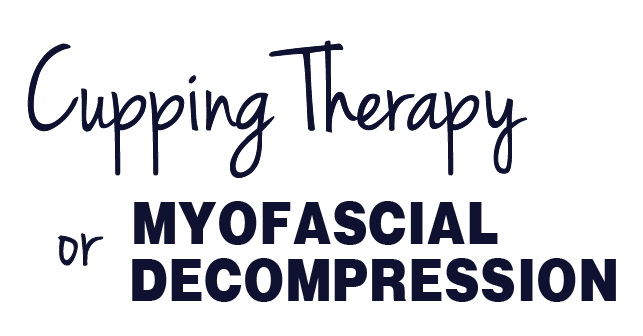 Myofascial Decompression, also known as Cupping Therapy, is an innovative approach in which a manual pump device is used to provide suction to skin and underlying tissue inside an applicator cup. This places stress on the skin and underlying tissue, stimulating tissue healing through the body’s own natural inflammatory response. What does Cupping Therapy/Myofascial Decompression do? What should I expect and how will I feel? When the suction is applied the vacuum under the cups causes the skin directly under the cups to rise and blood vessels to expand. The vacuum that is created by the suction applied to the cups decompresses the tissue restriction that is present between layers of skin, fascia, and muscle. While the cups are in place, the individual, with assistance from the therapist, performs different movement patterns to re-educate the dysfunctional tissue, helping to improve range of motion and reduce pain. This method is generally used in conjunction with other treatments to help alleviate pain, and individual response will vary from person to person. When might Cupping Therapy/Myofascial Decompression be appropriate?